Fits any base material solid of hollow, anti rotation features. Unique geometry guarantees maximum expansion and grip. 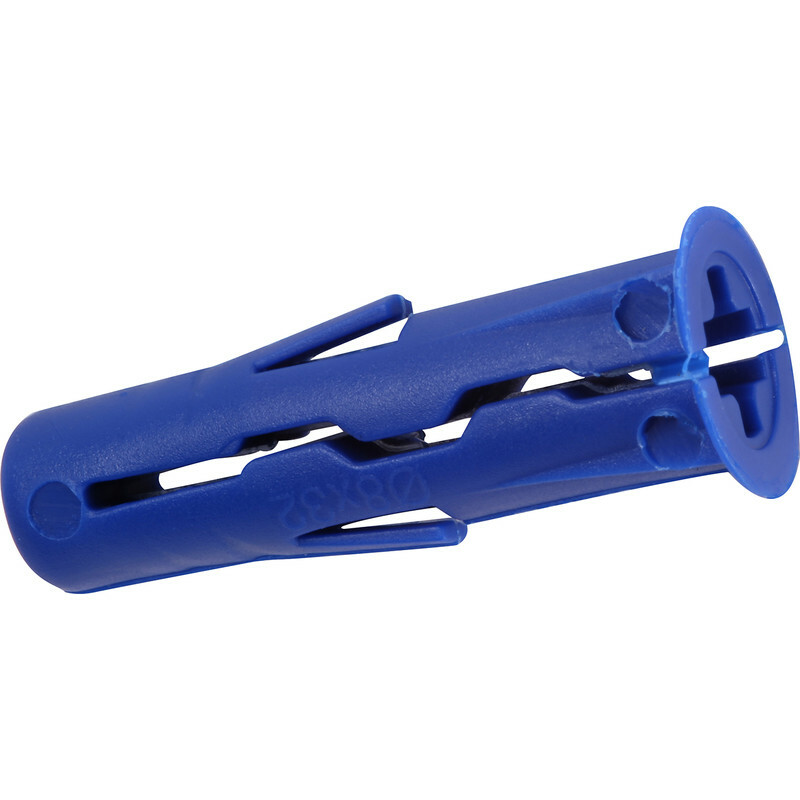 Rawlplug UNO Universal Contract Wall Plug Blue 8mm (80 Pack) is rated 5.0 out of 5 by 8. Rated 5 out of 5 by Toolman2 from Essential when screwing into walls I have used these for many years now and have always found them reliable. As long as the correct size hole for the plug is drilled then they will last forever. Rated 5 out of 5 by Toolman2 from Essential for screwing into most walls I have used these for many years now and have always found them reliable. As long as the correct size hole for the plug is drilled then they will last forever. Rated 5 out of 5 by Dmitriy from Love this UNO range of plugs! They just work! Strong, not too soft, not too brittle, hold well. Great! Rated 5 out of 5 by Aged home maintainer from The best in my experience These rawlplugs are better than any other brand I've used. Rated 5 out of 5 by East3369 from Great Product Quality item as usual from Toolstation, branded product. 5*, highly recommended. Rated 5 out of 5 by Lady Jean Ann from Jean Universal Contract Wall Plug, perfect for my job highley recommend and excellent value.